Loose Diamonds between 0.8 to 1.2 carats are probably the most commonly traded precious natural stones in the world. Determining the price of a carat diamond primarily depends on seven factors (described below). Compare Diamond Prices at JamesAllen.com. They have the Best Prices. 1 carat in the investment grade range would cost as much as $13,000 to $16,000 for a round shape diamond and $11,000 to $14,000 for fancy shapes – the highest grade being a 1 Carat Flawless (FL) and Colorless (D) Excellent Cut diamond with no Fluorescence and graded by GIA. The internet fundamentally changed the diamond business. Before retailers used to charge up to 200% markups. Now those old good days are gone because shoppers can easily compare prices online. But there is a but there! Almost all online retailers work with the same set of dealers, they don't own the stones. They are intermediary between you and the dealer. The only difference is the percentage of markup. James Allen for example has one of the lowest markups in the industry. The seven factors that affect the price of a diamond include diamond shape, diamond carat weight, diamond cut, diamond color, diamond clarity, diamond certification, and diamond fluorescence. Please read our article on diamond price factors for more information. Diamond rings have become the iconic symbol of all things love and romance related. In fact, we have all been programmed to ask women to see their ring immediately after we learn that her sweetheart has proposed. We then drill her with questions about the type of diamond on her ring, and then instinctively comment on the size of the diamond. This habit is as a result of a clever De Beers marketing campaign and their strict monopoly on the diamond market during the 19th century. But this was not where our love affair with diamonds began. While it may be true that De Beers have been credited with glamorizing the phrase ‘diamonds are forever,’ researchers have found evidence that traces the popularity of diamonds back to Ancient Greece. Diamonds have long been a symbol of status and wealth. Even today, we often equate the size of the diamond with wealth of the couple. As we will go on to discuss, however, bigger does not always mean better. A 1 carat diamond can be quite a beautiful sight to behold when it is cut elegantly and of good quality. Current market trends indicate that the cost of these diamonds can range from $1000 up to $15,000. This range might not be very helpful. Unfortunately, in the world of diamonds, nothing is certain. Two diamonds of similar size and cut may vary significantly in price. It is thus pretty obvious that purchasing a diamond this size will require a huge financial investment. Some men end up using several months’ worth of their savings to buy a ring with a 1 CT diamond, only to end up with a fake or inferior quality diamond. Let us first discuss how to determine that a diamond is genuine before you even think of spending this kind of money. There have always been a number of far fetched rumors and folklores about assessing the authenticity of a diamond. One of the most popular options to test a diamond that is featured on television is biting it. It should be obvious that this is a bad idea. Note that this could result in serious damaged to the precious materials around the diamond, and that the item of jewelry is likely to be very filthy having passed through a number of hands. It is equally unwise to try and use the diamond to scratch glass. A much safer option would be to make use of the breath test. Simply breathing on to the stone and watching it as it fogs up should help you determine whether the stone is real. If the fog clears a way immediately, the diamond is real. 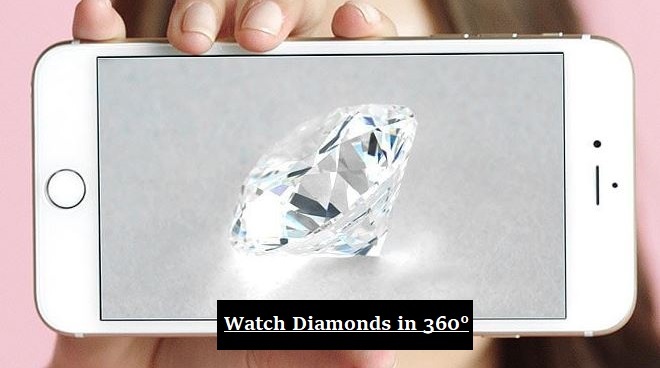 If it lingers for a few seconds, chances are this is not a real deal diamond. Unfortunately, this method is not 100% accurate since the fog from your breath clears away immediately from a number of other precious stones as well. Another option is to purchase an inexpensive diamond tester. These can cost as little as $15. But it may seem like an impractical choice if you are only shopping around for diamonds for that one special someone. Your safest, easiest, and most affordable option is to request to see the diamond certification before you make any purchases. The GIA certification is the most widely respected option. In fact, in addition to the physical certificate, a unique certification number is carefully inscribed on the stone in a location where it will not be visible. A GIA certification is issued by the Gemological Institute of America . This not for profit organization has been certifying diamonds since 1931. The GIA headquarters is located in Carlsbad, California. The institute also has a number of officers around the world, and employs a total of 1400 research professionals. Their aim is to protect unsuspecting consumers from being deceived by dishonest sales men. They have developed a time tested standard which ensures that their certification provides an honest, impartial, and certainly accurate assessment of the quality and value of the diamond. The researchers also have a set of master stones and use them as a control when examining the stones being tested. The trained professionals at the Gemological Institute of America spare no expense when seeking to certify a stone. 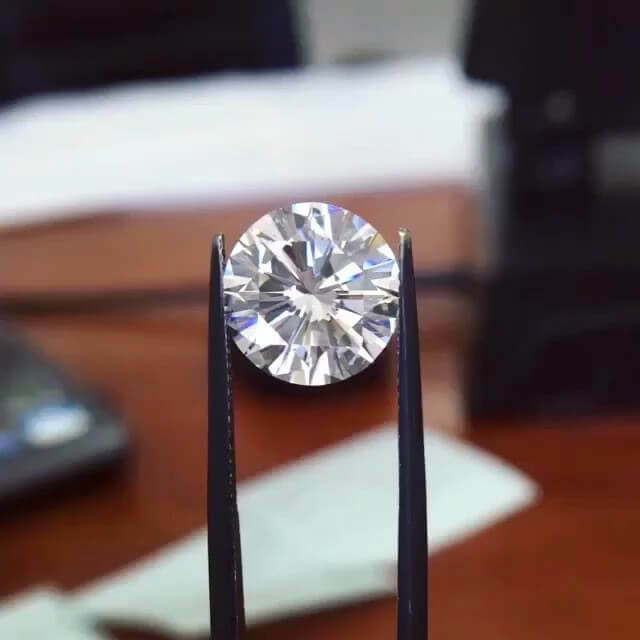 Their assessment requires using delicate scales, and powerful computers to determine the weight, accuracy of the cut, number of flaws, and even the overall brilliance or sparkle of the stone. The price of a diamond is affected by what professional jewelers refer to as the 4Cs. This method of evaluation was developed the Geological Institute of America. The categories of the 4Cs are the cut, clarity, color, and carat. Each diamond is, however, as unique as a snowflake. The cost of a diamond is dependent on the combination of these four factors. Let us discuss a few of the variables that can affect the cost of a diamond. The cut of the diamond should not be confused with the shape of the diamond. The cut of the diamond refers to level of craftsmanship employed by the jeweler that carved the diamond from its rough state into the beauty that can be used to make rings and other forms of jewelry. Many people believe that the cut is the most important factor when assessing a diamond. When an expert jeweler carefully crafts a diamond, he or she carefully examines the stone to determine how best to shape the stone in order to minimize the amount of diamond that is wasted. Once the shape of the finished product is decided, the jeweler then begins to carefully whittle away the excess stone. If the stone is cut carefully, the stone is carved in a way that will reveal its true beauty. It is only when the diamond is cut carefully that the stone will reflect light brilliantly. Stones that are not cut carefully will not sparkle or reflect light. In fact, they will appear rather dull and unattractive. That is why many believe the cut of the stone has the greatest influence on its price. A diamond is essentially a beautiful stone. That being said, it is bound to have imperfections having spent years in the dirt with other elements. These imperfections could include shards of other stones or traces of other elements. The clarity of the stone is determined by how many and how obvious these imperfections are to the naked eye. A 10x magnification loupe and a microscope are used to examine the inclusions that are not clearly visible. The type, size, and the amount of inclusions vary from stone to stone. It goes without saying that more imperfections will affect the stone’s brilliance and will thus affect the cost of the diamond. Diamonds with no obvious inclusions are rated as flawless. Diamonds with the most obvious inclusions are rated as I3 on the GIA clarity scale. In the world of diamonds, the less color it has, the better! Clear or nearly clear diamonds appear more brilliant than colored diamonds. Colorless diamonds are thus far more expensive than colored diamonds. Coloured diamonds usually have a light yellow or brown tint. Be mindful though when making your selection that gold jewellery tends to give crystal clear diamonds the appearance of having a yellowish tint. As previously highlighted, the carat weight of a diamond is the most popular of the 4Cs. One carat is the equivalent of 200 milligrams. It is thus easy to see that there is a correlation between the carat weight and the size of the diamond. Please note, however, that the carat weight of a diamond does not always determine its size . Just as a short person can weigh more than a tall person, a 1CT diamond can be smaller than a 0.90CT diamond with a deeper pavilion or wider circumference. These differences are hard to discern with the naked eye. Many consider the 1 CT diamond to be the most ideal carat weight for a center stone on a ring. This is especially so when selecting engagement rings. Diamonds which are 1 CT or higher tend to be more expensive that smaller diamonds. That is because large diamonds are quite a rare find, and thus command a higher price than their smaller counterparts that can be found quite easily. Some have even noted an almost 50% deference in the cost of a 1CT ring versus a 0.95CT diamond ring. Many prudent shoppers have opted to purchase rings that are slightly below the one carat mark and have saved thousands. A 0.95CT ring is almost as impressive as a 1 CT ring. In fact, the differences are so minute that it is hard to distinguish without the assistance of a trained diamond expert. Other prudent shoppers have chosen to purchase rings with clusters of much smaller diamonds. You will pay significantly less for a ring with a number of 0.25 CT diamonds, than for a ring with only a single 1 CT diamond. This is so even if the cumulative weight of all the smaller diamonds is equal to or more than 1CT. Selecting a diamond, and the right diamond for the occasion you have in mind, requires that you focus on more than the grade of the diamond. Two diamonds with exactly the same grade and certification may look completely different. Having a clear understanding of how the price is affected by variations of the 4Cs is the key to making the right choice. Related: How Much Does a 2 Carat Diamond Cost? Play around with the color of the ring. We would all prefer to get a D colored GIA certified diamond that is crystal clear, but this will attract quite a pretty penny. Opting to lower your color grade expectations will significantly affect the price. You will be surprised how much money you could save by purchasing a diamond that is of excellent quality and has a hint of color. Don’t be afraid of inclusions. When we hear about inclusions or flaws on a ring, we immediately assume the ring will be of inferior quality. That kind of thinking is very flawed. Often times, these inclusions are barely visible. Additionally, two diamonds with the same rating will have very different types or quantities of inclusions. Examine the diamond and its inclusions carefully before ruling it out. You can even ask to examine the stone using a microscope to be sure you are getting value for money. 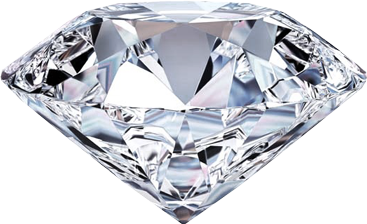 The shape of the diamond also has a significant bearing on the cost of the diamond. Round diamonds are the most expensive. Secondly only to the princess cut. This is because these shapes will require that the jeweler whittle away and waste a lot of the diamond when cutting it because diamonds are not naturally round. Thankfully, there are a number of alternatives. If your preference is for round diamonds, why not consider an oval shaped diamond instead? A round ring with the same rating as an oval ring can cost up to ten times more. As you have seen, choosing a diamond will not be easy. It requires that you think on your feet and do your due diligence in order to not be taken advantage of. But, you will be most pleased with your diamond if you make a wise choice.